When it comes to snow in the Alpine regions there are at least two meanings: “snow” understood as winter sports, fun, tourism and commerce, and “snow” as an atmospheric agent that can cause avalanches, and consequently danger, risk management and research into safety. In recent few years much work has been done on supporting decision-makers in the management of territory and development of sustainable tourism, also and above all by resorting to technology. Projects carried out by the Montagna Sicura Foundation in Courmayeur on snow and avalanches have involved the Valle d’Aosta Autonomous Region, international research bodies (SLF in Davos and IRSTEA in Grenoble to name just two), universities (UniTo, PoliTo, UniFi), bodies operating in the territory (forestry corps, mountain guides, ski areas, municipalities, regions) and private companies, all putting in different scientific competences for practical purposes, leading to applied research with real impact on the territory. Various projects in avalanche risk management have ranged from planning and protection of the territory to forecasting: for example, the RAMMS avalanche dynamics model on small avalanches realized using data collected at the Punta Seehore experimental site in the municipality of Gressoney-La-Trinité, is a procedure for rapid determination of the perimeter of avalanche events starting from photographs in collaboration with a local company. Application of a procedure for automatic determination of the ​​detachment area on real cases in Valle d’Aosta made it possible to understand how wind direction is a determining factor for defining an avalanche detachment scenario. Therefore, based on the principle that windward slopes are unloaded and leeward slopes are loaded, a procedure has been developed which, in about 40 minutes, allows us to understand in advance on which slopes it is most likely that snow will be deposited (and therefore wind slabs could be formed which, on detaching, could cause avalanches) and which slopes could be eroded by wind. Input data are processed starting from the directions and intensity of wind at 10 m provided by the COSMO I2 model acquired from the CINECA calculation center and made available by the Valle d’Aosta Functional Center as part of institutional activities linked to the Civil Protection system. The results, which are processed daily, are made available on the web platform of Avalanche Commissions and are used by the forecasters who draft the Snow and Avalanche Bulletin and by members of the Local Avalanche Commissions that manage avalanche risk in their territory. Men have always wanted to overcome their natural limits of observation to be able to see “beyond”: innovation is therefore inherent in our history. In these terms, remote sensing can be considered one of the most revolutionary elements, insofar as it has allowed us to obtain a much broader and more comprehensive vision of the planet on which we live. In particular, new generation satellites allow us to obtain high resolution images with frequent passages on the same areas: this means having at the same time greater detail at the local level and a frequency of images that enable evaluations that were previously unimaginable. Data from satellites represent a useful tool for monitoring remote areas of the planet (glaciers, deserts, forests, oceans, cities, etc. ), where organizing frequent surveying campaigns is difficult and expensive, and the possibility of having multitemporal data related to the same area is extremely important for assessing changes that have taken place (for example, before and after the occurrence of a catastrophic event). Moreover, important projects, such as the European Copernicus Earth Observation Program for monitoring the green areas of the planet and providing support in the management of natural disasters, allow anyone free access to the data processed by satellites, and are essential in the phase of acquiring useful data. As is well known, the winter sports tourism sector is facing an increasingly complex and unprecedented situation: climate change and demographic change are reducing both the number of reliable ski resorts and of skiers. This condition is bound to become more complicated due to the further expected rise in temperatures during this century. One of the main effects of climate change to be considered is therefore reduction of the snow blanket, with direct consequences on the winter tourism sector. 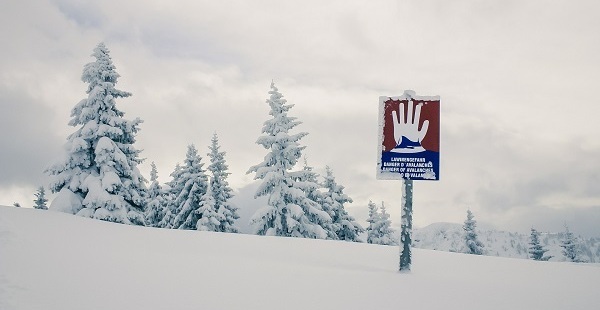 According to the so-called 100-day rule, a ski resort can operate successfully if it has enough snow cover for skiing for at least 100 days during the winter season. Snow surveys can take place through ground-level measurements (direct measurements, non-uniform distribution on the territory, local scale, management costs for the region/institution) and satellite radiometric surveys (indirect measurements, continuous coverage of the territory on a large scale, open access resource). Ground and satellite observations provide complementary information. With regard to the monitoring of ground snow from satellite images, the method used in a specific project for distinguishing snow from other surfaces, and in particular from clouds, is application of the NDSI (Normalized Difference Snow Index). This index makes it possible to identify the reflectance of snow, distinguishing it from other surfaces and, above all, from that of clouds (the reflectance of snow is in fact high in the visible part of the electromagnetic spectrum but, unlike clouds, is highly absorbent in the shortwave infrared of the spectrum). Through accurate image processing, the scale of the snow surface of a given ski resort is calculated and then, including through data from snow gauges, is evaluated to determine whether it satisfies or not snow conditions sufficient to consider that ski resort reliable. This datum is useful in choices related to the scheduled snow-making of a skiing area and of the measures of adaptation to climate change to be adopted. Remote sensing techniques are the subject of studies in many countries, and represent a field of research that is very topical and in continuous expansion. The research and development of new surveying techniques, as well as the synergy between optical images and SAR (synthetic aperture radar) for monitoring the state of the snow blanket, are just a few examples of a world to be discovered.